What Is the Citizens Academy? 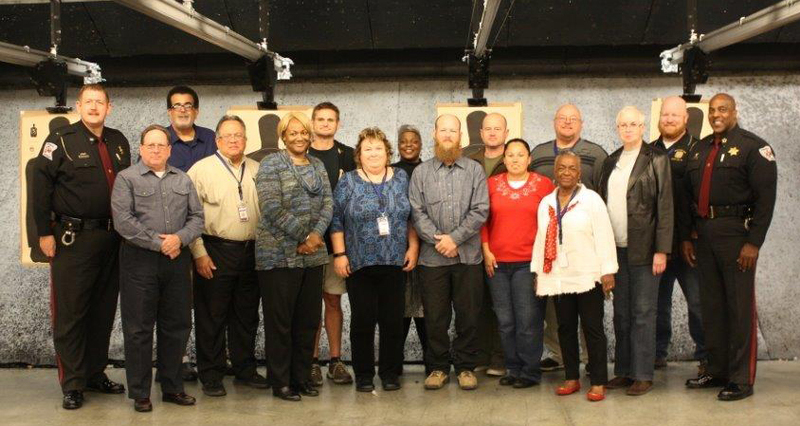 The Cumberland County Sheriff’s Office Citizens Academy is an extension of the agency’s Training section. The goal of the academy is to help those who attend gain a more comprehensive understanding of what is required for deputies to effectively perform their duties and how they go about serving citizens. Resident applicants will be screened and selected to attend each academy session. Applications are considered in the order received, and all applicants are subjected to a criminal background check. 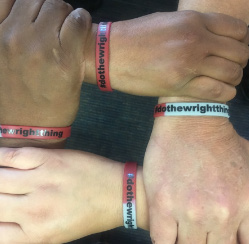 Students will be provided all materials required for attendance (including an academy logo shirt) at no charge. The Sheriff’s “Citizens Academy” is one night a week for six weeks. The classes will be at least two (2.5) hours per session with classes beginning at 6:30 p.m. and ending at 9 p.m. nightly. The location for each class will vary depending on the course material. The academy coordinator will provide the location for each class session. 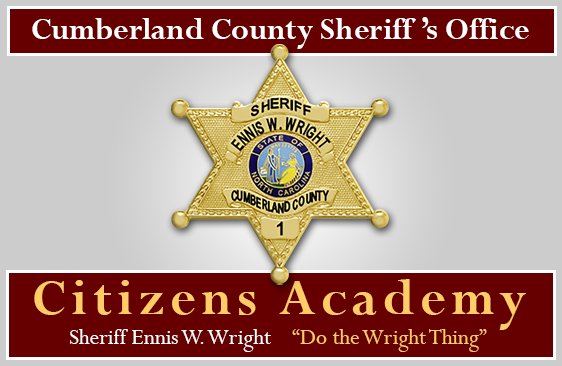 The academy is designed to expose participants to many different aspects of law enforcement to include the day-to-day operations of the Cumberland County Sheriff’s Office. 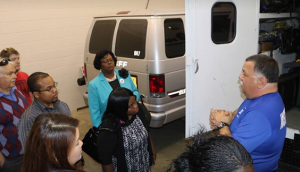 The Citizens Academy is open to Cumberland County residents at least 21 years of age. All applicants will be subjected to a criminal background check and must meet partial criteria equal to North Carolina’s requirements for obtaining a concealed handgun permit. FREE! The only cost to participants is time. Acceptance to the academy comes with an expectation to attend all sessions. Applicants will receive an acceptance letter with a detailed class schedule of dates and locations upon clearance of a background check. You will receive an application by your choice of US mail or e-mail. Processing of applications takes approximately two weeks.